Carefully peel off Everblinks mink lash from the plastic tray with tweezers. 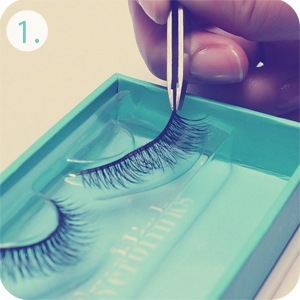 Hold lashes at one of the outer ends of the lash band to prevent damage to the lashes. Tip: Always apply your Everblinks once makeup is completed. Make sure to curl and apply mascara to your natural lashes, before applying Everblinks Lashes. 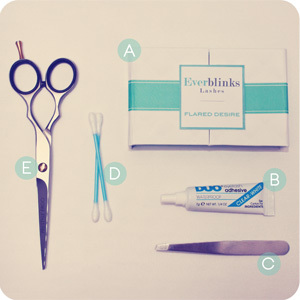 Before applying glue, hold one Everblinks lash strip up to your eye to see if the size fits. You want the lash band to be slightly shorter than your natural lash line, to prevent the lash band from poking the inner corner of the eye. If necessary, trim Everblinks lashes from the outer ends, lash by lash (the ends closest to your ears). Lashes should be longer towards the outer corner, not the inner corner of the eye. Only for ‘Parisian Flare’, ‘Love-A Flare’ and ‘Flared Desire’ styles: If you have naturally long lashes, you might want to trim Everblinks from the inner ends instead (the ends closest to your nose). 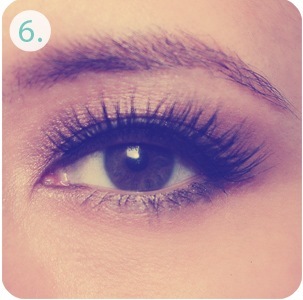 Squeeze a little drop of eyelash glue onto the middle part of a cotton swab (Q-tip) and run the lash band along it. Pay special attention to both ends of the lash band to ensure better hold. Then, bend the lash band into a horseshoe shape for 30 seconds while the glue becomes tacky. Touch up your eyeliner for the finishing touch! Don’t worry if you don’t get it right the first time. Just practice and you’ll be a master in no time!